Hess Pumice mines and refines the planet's purest commercial deposit of white pumice. We know pumice. 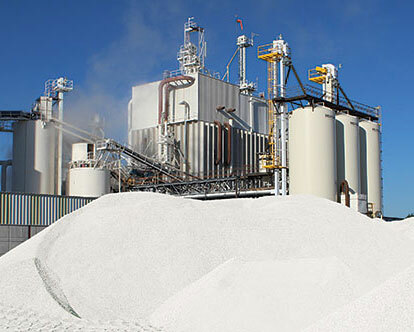 We've been mining, refining and shipping pumice since 1958. Give Hess Pumice a call and we'll make sure you get the ideal grade of pumice for your process in the packaging you need. We refine and stock a variety of pumice gradations, including mine grades, dried and processed grades from fine to coarse, grade combinations, and microfine powders. We're also an industry leader in innovative uses and new markets. We're happy to work up a custom grade to meet your particular needs. If you think pumice may have application for your process or industry, we'd welcome the chance to discuss it with you. If you like to test our pumice in your own labs, we'll gladly send you the samples you require. Pumice in common grades and for a variety of specific applications is available to order online in small quantities (1lb bags to 20lb boxes) from our Pumice Store. Call us at 1.800.767.4701 and we'll connect you with the distributor that will best meet your needs. If needed, we'll ship it directly to you, anywhere in the world—in the packaging you need. 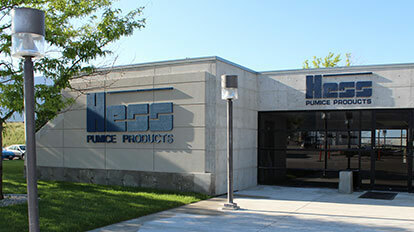 Hess Pumice Products offices, processing plants, and warehouse/shipping facilities are in located in Malad City, Idaho, in the southeast edge of the state, not far from the Idaho/Utah border.